Well, the space that was once occupied by D'Agostino's and Gothic Cabinet Craft on Seventh Avenue in Park Slope is now two-thirds occupied. The biggest part of the space will be taken by Bank of America. 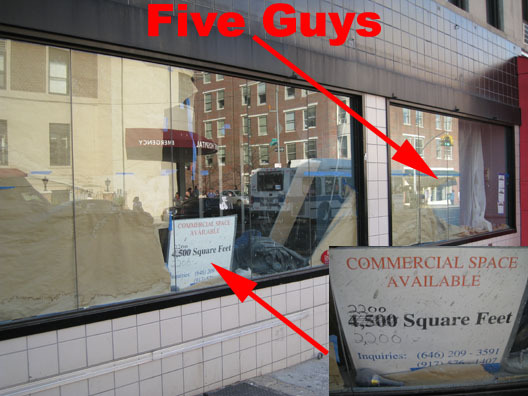 Yesterday, we noted that Five Guys Burger chain is moving into the space, as well. A look inside and at the sign indicates the available space is being divvied up and that 2,200 square feet of the original 4,500 are still on the market.